Sat., Jan. 6, 2018, 10:57 a.m.
SRINAGAR, India – Police said four officers were killed Saturday when rebels fighting against Indian rule in disputed Kashmir detonated a bomb on a street the officers were patrolling. Streets were deserted and shops and businesses closed for a strike when the massive blast struck the northwestern town of Sopore, hitting the police patrol. The town, famous for apple orchards, is observing a shutdown on the 25th anniversary of a massacre in which government forces killed at least 47 people after a paramilitary soldier died in a rebel attack. The strike was called by separatist leaders who challenge India’s sovereignty over Kashmir. The town was already on high alert with hundreds of police and paramilitary soldiers patrolling the area in anticipation of anti-India protests and clashes. Police said at least half a dozen shuttered shops suffered extensive damage in the blast, which was remotely detonated. 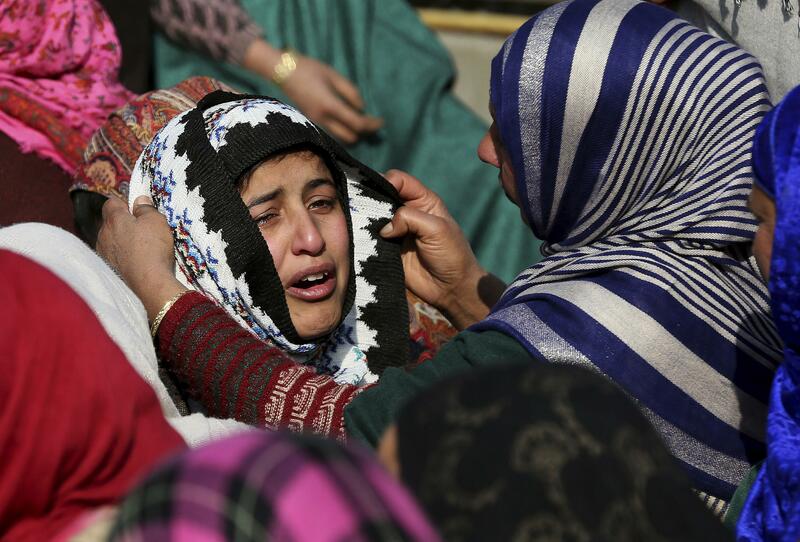 The Jash-e-Mohammed militant group claimed responsibility for the attack, according to the English-language Greater Kashmir newspaper. Reinforcements of police and paramilitary soldiers rushed to seal off the area. Nuclear-armed rivals India and Pakistan each administer part of Kashmir, but both claim the Himalayan territory in its entirety. Rebel groups demand that Kashmir be united either under Pakistani rule or as an independent country. India accuses Pakistan of arming and training the rebels, which Pakistan denies. Anti-India sentiment runs deep in the region, and most people support the rebels’ cause against Indian rule while also participating in civilian street protests against Indian control. Published: Jan. 6, 2018, 10:57 a.m.